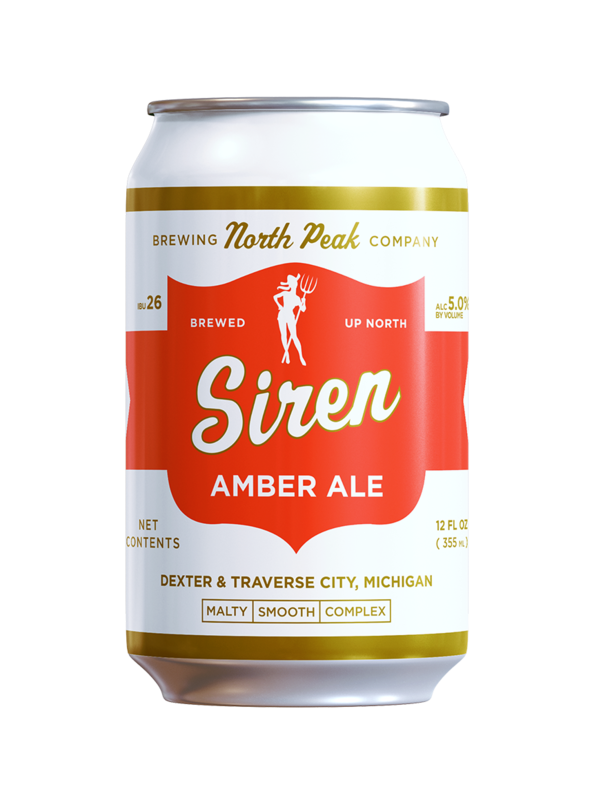 Siren — North Peak Brewing Co.
Siren amber ale isn’t your beginner’s amber, it’s much more complex. The hops selected for Siren balance and complement the malt character. It is smoother, well-balanced and has a rich amber hue. The Greeks aren’t the only ones serenaded by the intoxicating voice of beauty incarnate. Many a woodsman has befell her call, lured by the promise of what may be. Long winters of lonely isolation created such a legend to warm the heart and soul. Today, her elusive song still can be heard on quiet nights, and her allure still clutches at the hearts of the money. But her namesake Amber Ale offers warm comfort to all those seek it.